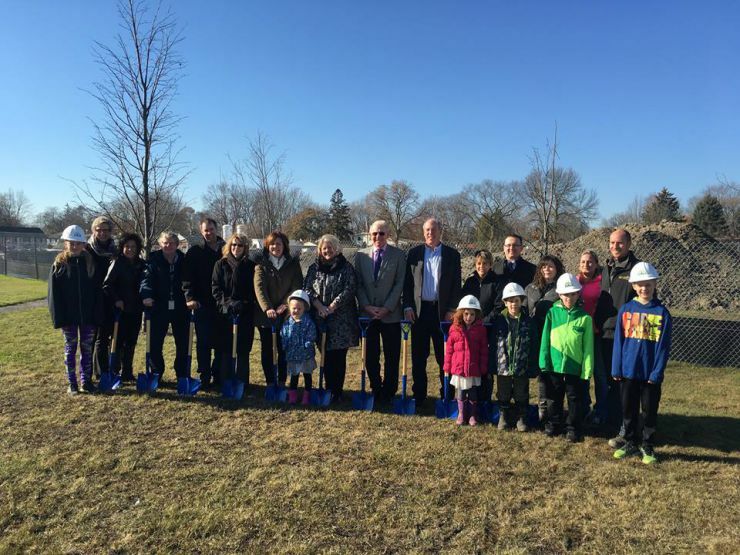 Students and teachers from two Haldimand County schools gathered with Trustees and Grand Erie staff on November 24th at the site of a future Dunnville elementary school, and the shovels in the ground were a symbol of a fresh start to come next fall. Morphet says that Fairview students have been watching the building site with anticipation, and teachers are even integrating its construction into lesson plans, enhancing math, science, and writing exercises. Fairview Avenue Public School’s students, along with pupils from Grandview Central Public School, will call the new school home – the results of the East Haldimand accommodation review process completed last spring. The new beginning brings opportunities and enhancements for students' school experience, something parents are hopeful will ease the transition. “We’re lucky to live in a small town,” reflected Ian Fletcher, parent and co-chair of the Grandview Central School Council along with his wife Laura. “Even though these are two separate school communities, we already know each other and have strong connections already in place. With more students in one school come more opportunities for extracurricular activities and sports teams, something many staff and students look forward to. The consolidation follows the closing of Anna Melick Memorial School last year, and an additional wing including four new classroom spaces has already been completed at Thompson Creek Elementary School to welcome those students this fall. A ribbon-cutting ceremony to celebrate the new wing at Thompson Creek also took place the day of the new elementary school’s ground-breaking. 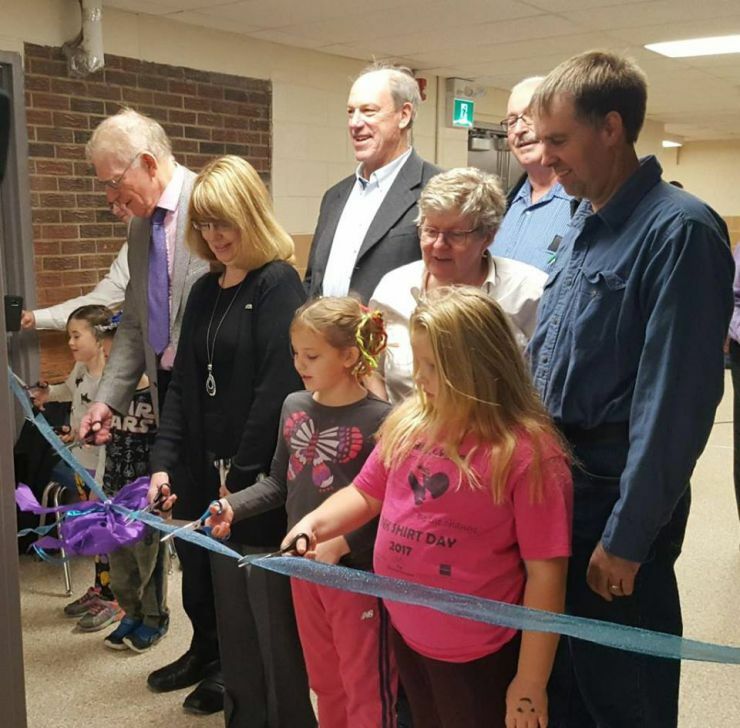 The changes in Dunnville reflect Grand Erie's Multi-Year Plan, and the Environment indicator goals of making the best use of space in all schools, while improving energy and environmental consumption at all sites.